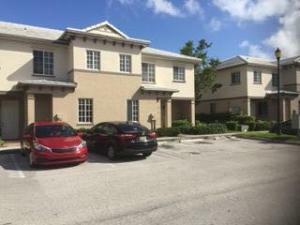 There are currently 38 MLS Listings in the search: Townhomes Properties for sale in Riviera Beach FL. Click on a listing to the view property details, photos and agent comments. If you would like to change or expand your search criteria, go back to the main Riviera Beach search page, or try using our Advanced Search. 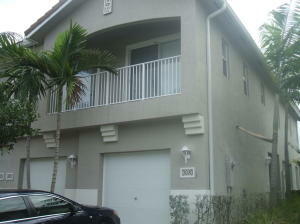 Nice 3 bedroom 3 bath unit in gated community. Amenities include pool, fitness, tennis, play ground and rec center. Great starter home or investment. 24 hour guard at the gate.HOA approval required. Lowest Price! Best Value!! ''BUY ME' Lookout onto a large preserve, view of seagrass and wildlife. A Mediterranean 2 story in gated community. 3 beds, 2.5 bath, 1 car garage. Built 2004, CBS. Spacious tiled living room with large sliding door leading to screened patio. Spacious master with double sink, Newly Painted in very pretty ''sea salt'' Blue. A/C serviced on 2.16.19 Assoc. Hurricane Shutters as Seen in Garage. fee includes: Roof, lawn, basic cable and common area maintenance. Lease ok, 1 year min. 2 Pets ok but no aggressive breeds. Amenities include heated pool, kiddie pool, tennis, tot lot, basketball, fitness center, party pavilion, sports court. Measurements approximate and info subject to error. All information deemed reliable but not guaranteed. Call NOW ! This 2 bed, 2 1/2 bath townhouse stands out from the rest. Completely renovated in 2017, including all new granite counter-tops, stainless steel appliances, laminate wood floors, hot water heater, 2018 AC, 2018 upgraded large washer/dryer, 2018 exterior security cameras, and a personally landscaped front garden.. The family friendly neighborhood features resort-style amenities - a large heated pool, tennis courts, full size basketball courts, fitness center, a sugar sand playground and a splash pool with waterfall fountain for kids of all ages - all exclusively for residents and their guests. The community has taken a proactive approach to safety and security - All entry points and gate access are manned by 24 hour security with a roving police officer throughout the community. The best open lake view. East direction. Corner, very bright, very clean, 3 bed/2.5 bath. One attached car garage and two parking spaces in driveway, in the prestigious gated community of Thousand Oaks. SS appliances, full size washer and dryer. wood blinds. No carpets. Neutral fresh paint. Energy efficient 3.5 tons RHEEM central A/C. Ducts just cleaned, sanitized with UV light installed for added health protection. The most expensive under layer for perfect floor insulation, and low energy bill. A total of 1,875 sq ft surface area. House is now vacant, no furniture, easy to show and be assured of it's perfect condition. Beautiful Lake Front, 3 Bedroom/2.5 Baths, CBS Townhome Located in the 24 Hour Manned Gated Community of Thousand Oaks. This TownhomeFeatures an Open Kitchen, Lovely Lake Views from Many Windows, Spacious Bedrooms, Master Bedroom Features a Large Walk-In Closet--Enjoy the Sunrise Over Your Wonderful Waterview from Your Kitchen and Livingroom! First Floor is Open Concept with Ceramic Tile- HVAC compressor has extended warranty!-HOA Amenities include Comcast Cable, Community ''Heated'' Pool & Kiddie Pool! Nice Clubhouse with Work-out Gym, Basketball, Tennis, and Playground Areas! Close to Shopping, Restaurants and the Most Beautiful Beaches!!! 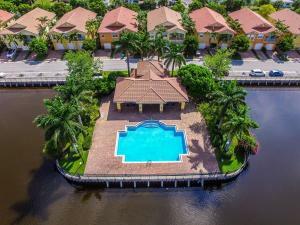 Very Convenient to I-95, Turnpike, Major International Airports. Come, Live and Enjoy Beautiful, Sunny South Florida!!!!! 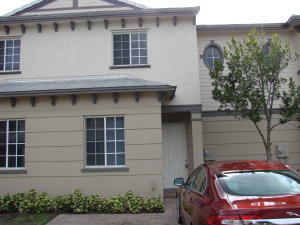 LAKEFRONT Townhouse in the gated community of Arbor Parc featuring 2 bedrooms plus Loft/seating area and 2.5 bathrooms. Community Features Grand Clubhouse with Giant Pool & Fitness Room. Great value per square foot on Concrete Block Townhouse built in 2007. Central location near the VA Hospital, Publix, Beaches, easy access to 95, Downtown WPB, Steps to Palm Beach Gardens, and Northlake Blvd Shops. 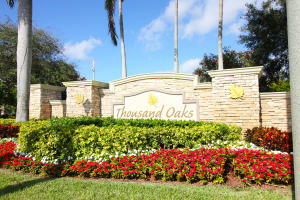 TOWNHOUSE 2 BEDROOMS/2 BATHROOMS WITH 1 CAR GARAGE LOCATED IN GATED COMMUNITY OF THOUSAND OAKS. FURNITURE NEGOTIABLE. HIGH CEILINGS / WASHER & DRYER INSIDE UNIT / PRIVATE BALCONY / RESORT STYLE AMENITIES IN COMMUNITY / CLOSE TO I-95 AND NEAR GARDEN MALL. MUST SEE! 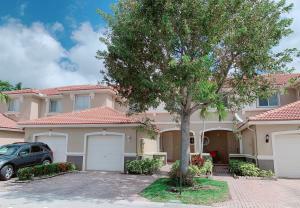 Spacious 2 bed, 2.5 bath, 1 car garage corner unit in resort-style gated Villa Rosa. Vaulted ceilings, tiled main level, textured Stainmaster carpet upstairs, whirlpool appliances in kitchen, Corian countertops, large pantry and so much more!!! 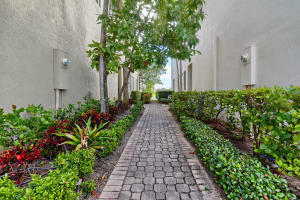 Conveniently located to major expressways and just minutes from CityPlace, Palm Beach Gardens and the Beach! Townhouse begins with a Foyer Entrance into this Updated Townhouse with 3 spacious Bedrooms, 2.5 Baths and a Garage. Like New Kitchen with Granite Counter-Tops, SS Appliances, Breakfast Bar and Dark Wood Cabinetry includes a Pantry. Large Living Room with Dining Area as well. Laminate Flooring. Upstairs takes you to 3 nice size Bedrooms, starting with the Master Bedroom Suite which includes a Walk-in Closet and Double Vanity Sink Bathroom. Then 2 more Bedrooms and another Full Bathroom. Washer & Dryer upstairs. One Car Garage. Two Car Driveway. LOCATION! LOCATION!! LOCATION!!! Gated Community, near Beaches and Interstate. Minutes to supermarkets, post office, banks ect. Community includes Lovely Pool Area. HOA requires buyer to obtain loan with at least 15% down. A MUST see Unit. For more information about buying or selling property in Riviera Beach, please feel free to email or call us at 954-720-7111. We are here to help!